Unique mobile casings for ATMs and vending machines. Transportable, solid, with advertising surface. Veloform’s mobile ATM solutions are unique and fully transportable. They feature solid materials, an attractive 360-degree advertising surface, and striking looks. They can be equipped with one or two cash machines, roof or foyer, lockable doors or electric shutters. Several diameters are available. The standard bboxx ATM external diameter is 2.74 Meters, while bboxx ATM compact measures 1.24 Meters. They are ideal for events, festivals, prestigious contruction sites, trade fairs or amusement parks. Compact, round shape that is ideal for the most frequented spots. It is particularly suitable in combination with other bboxx models. All bboxx features also apply to the compact version. Light model of bboxx ATM that fits anywhere. 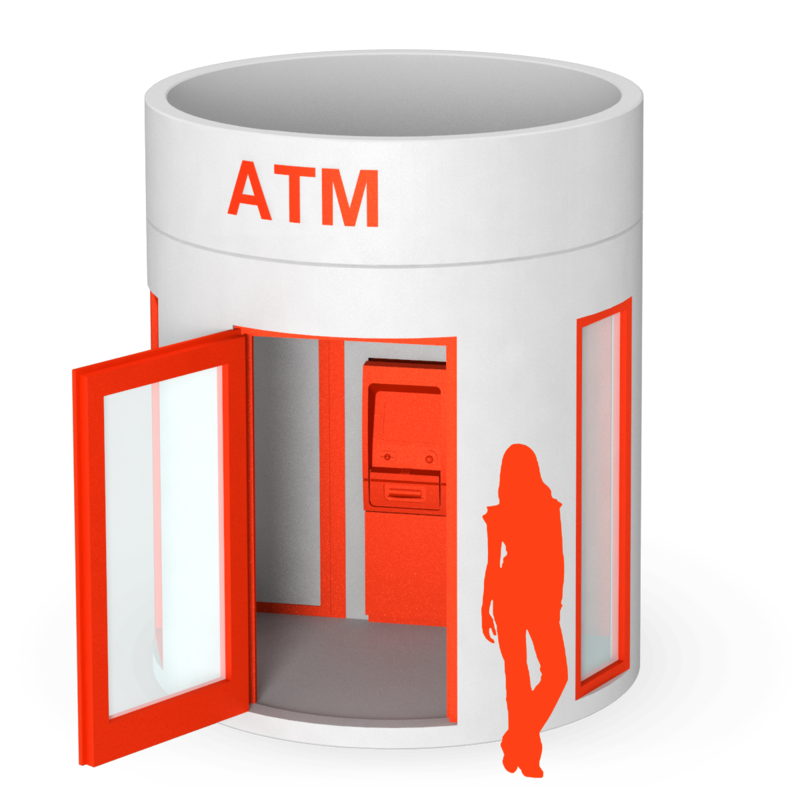 Ideal for busy places, especially if you need a large number of ATMs. The advertising surface can be branded individually with finish and/or plots.